With a mix of mid-century and boho details, this California home that Jaclyn Johnson, CEO of Create and Cultivate, shares with her husband and pup, is chic, comfortable, full of character and totally cool. 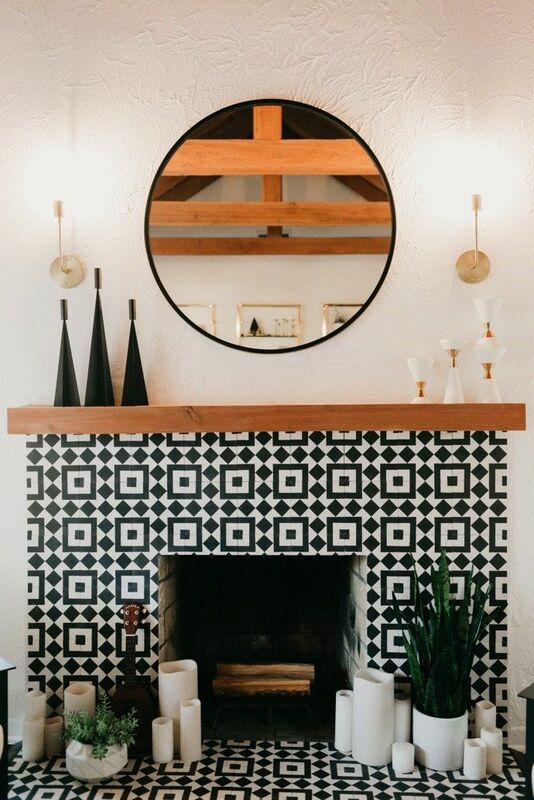 From the wallpapered walls to tiled fireplace, we're pretty much obsessed with all it all. What's more, in addition to some major eye candy in this post, Jaclyn also shares five key things every host should do to ensure a great party for all.